What a busy week, it was! 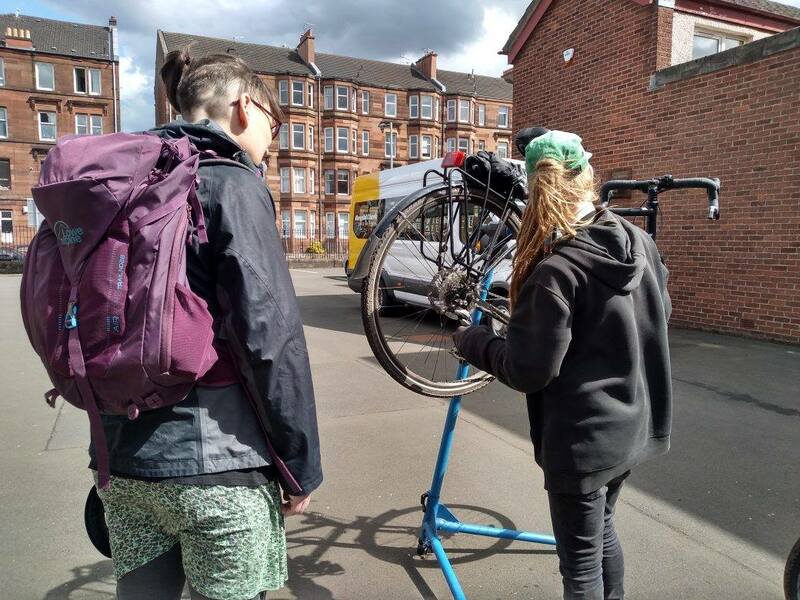 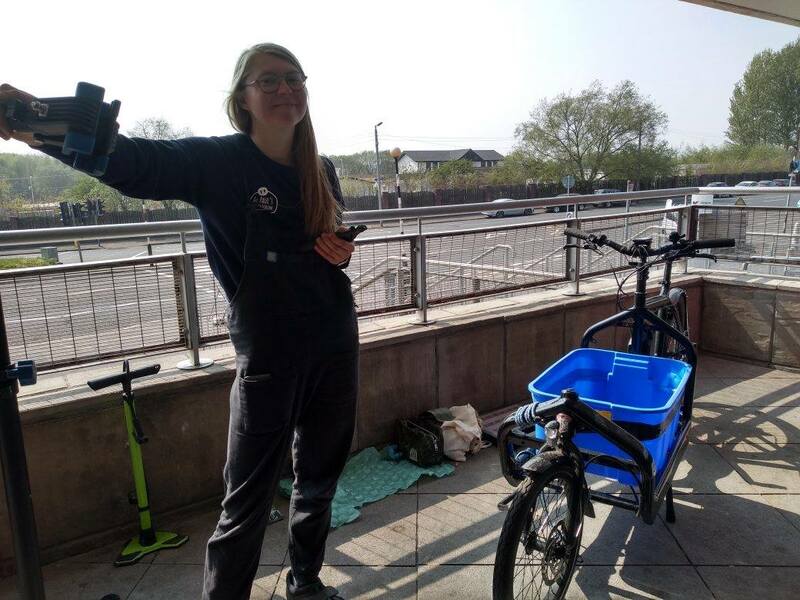 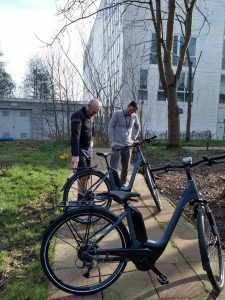 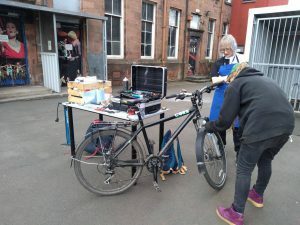 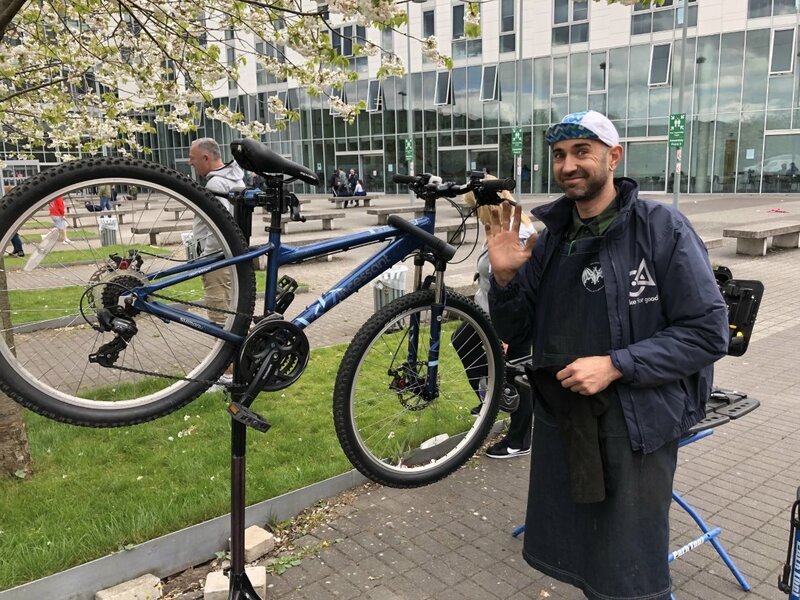 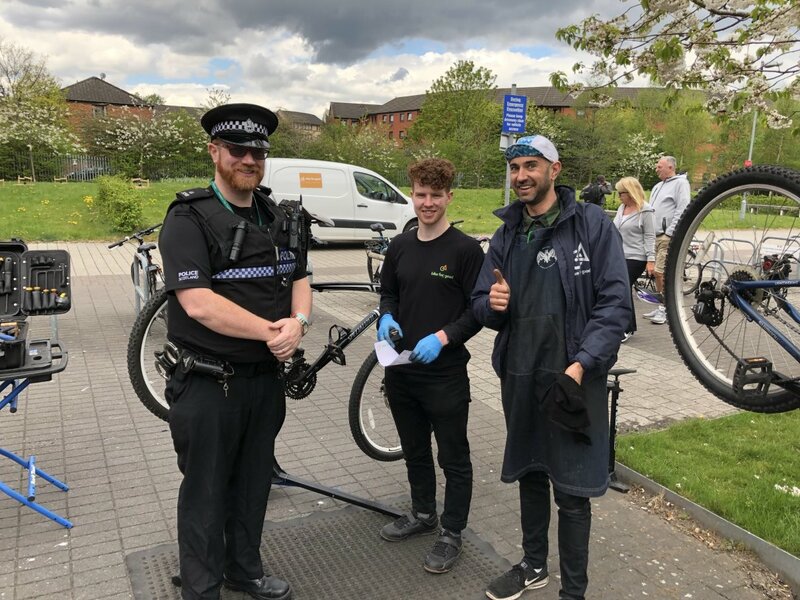 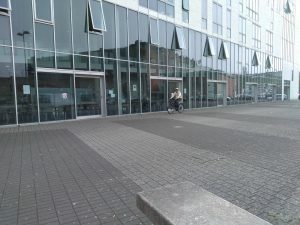 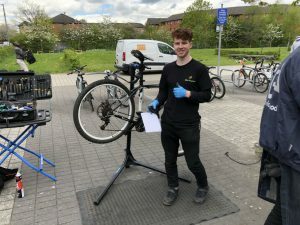 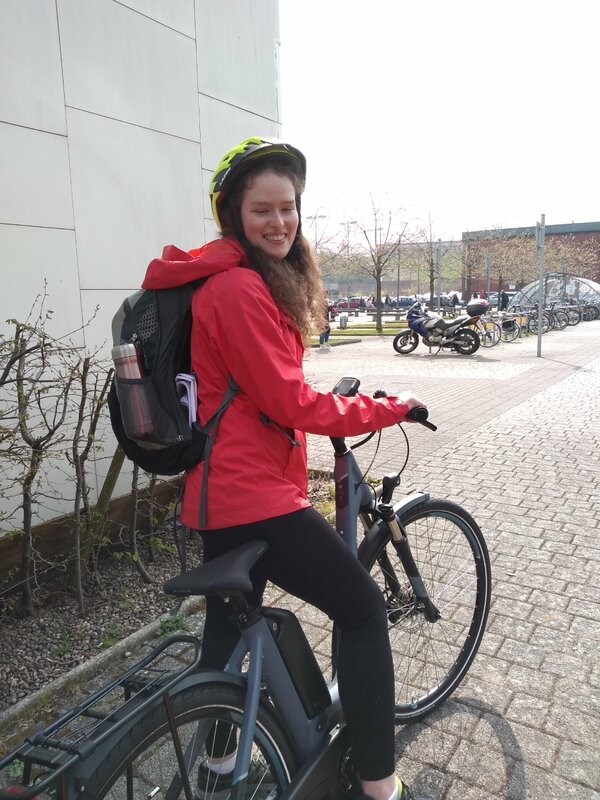 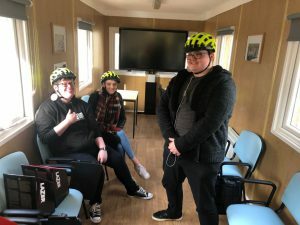 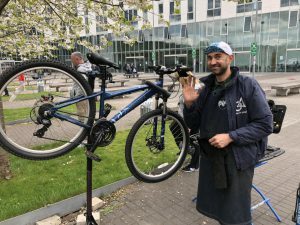 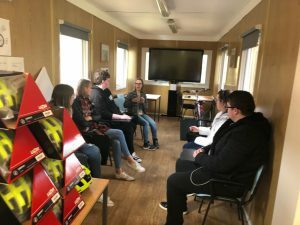 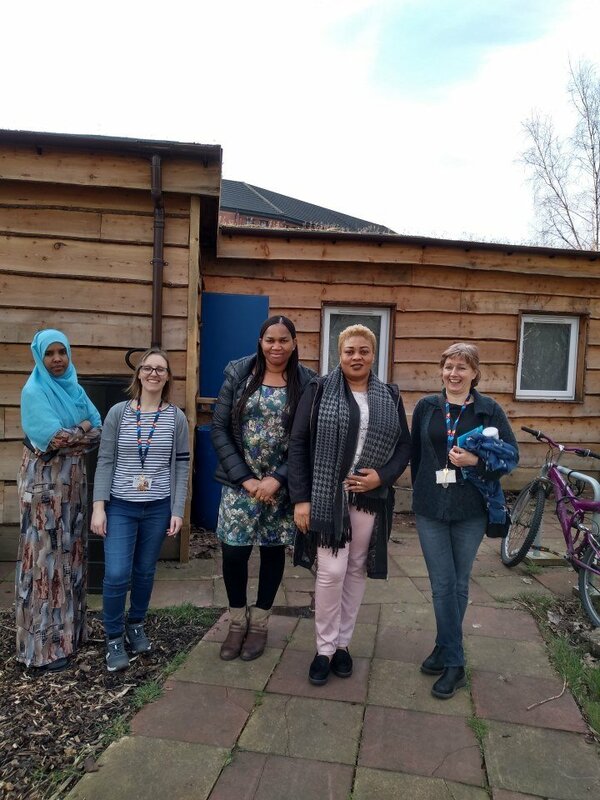 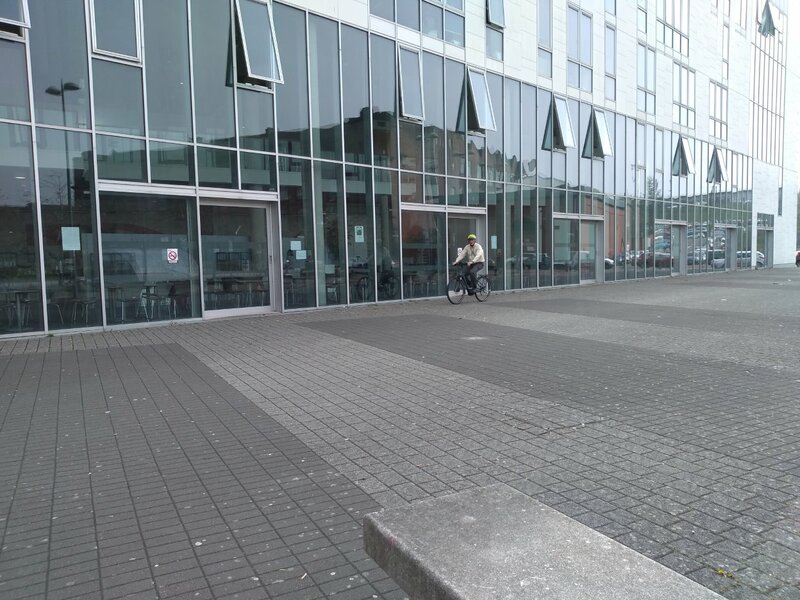 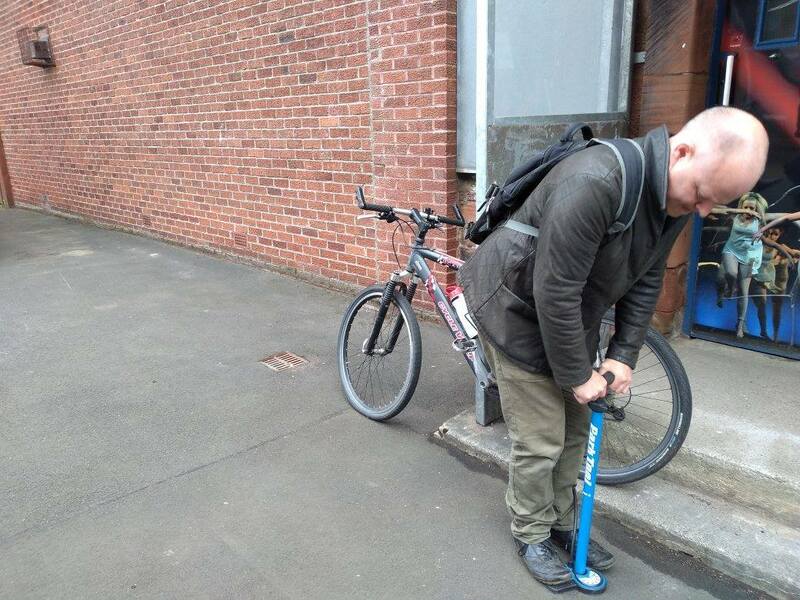 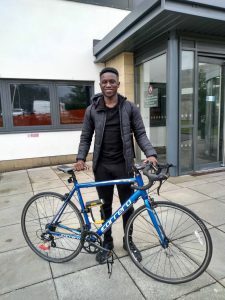 More Dr Bike sessions took place at East-End, West-End and Springburn campuses last week, in collaboration with On Bikes, Lambhill stables and Bike for Good. 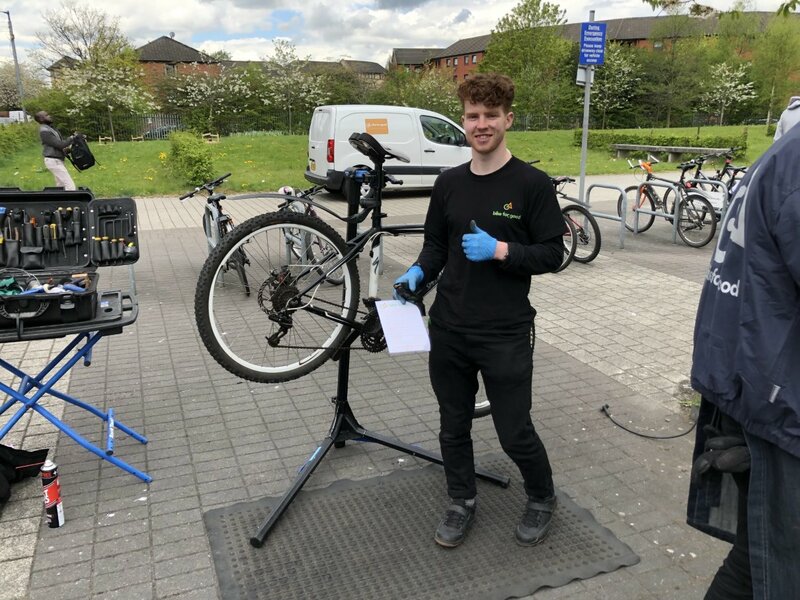 As usual, students, staff were given the opportunity to get a FREE maintenance check on their bikes by a skilled mechanic. Those events have been successful and about 20 bikes have been checked. 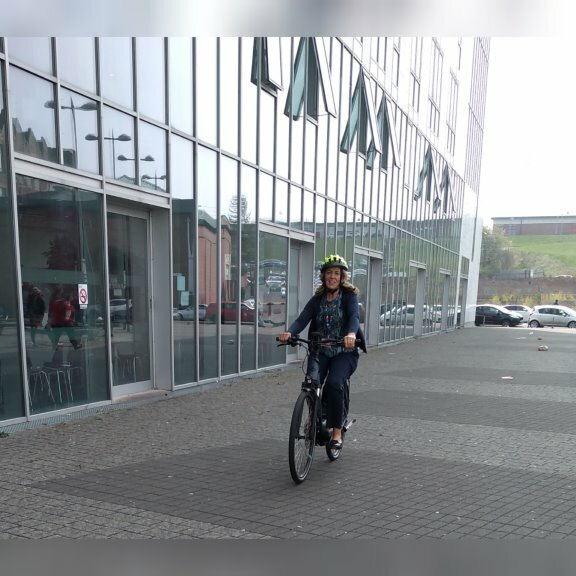 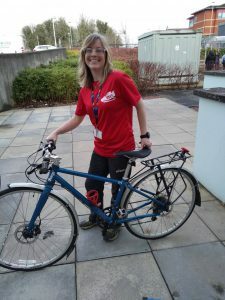 Sandra, our Campus Cycling Officer, was also able to engage with staff and students to promote cycling. 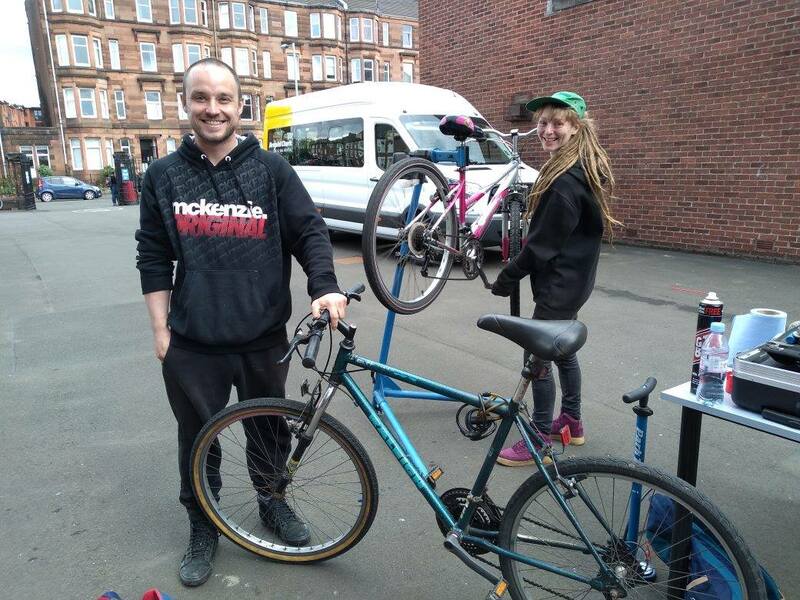 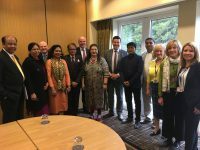 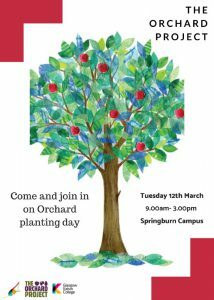 We were glad to get the local community involved as well in Springburn. Remember that if you have a bicycle or children’s bicycles, even unused for years, feel free to bring them at one of our next sessions! 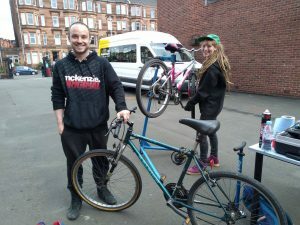 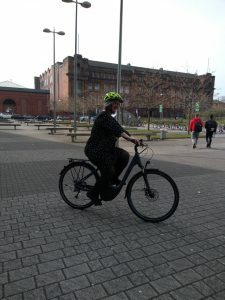 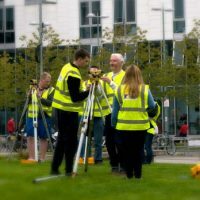 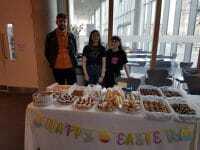 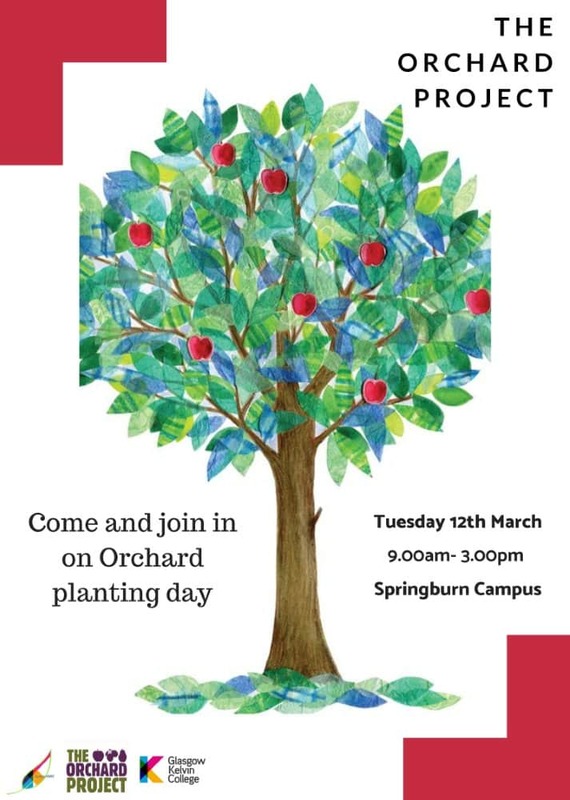 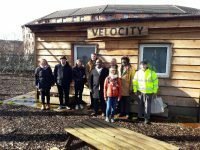 On Thursday 18th April, the College launched its cycling schemes at Springburn campus, and we were delighted as the weather was particularly nice. 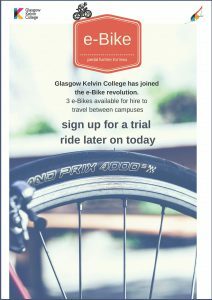 This event has given the opportunity to students and staff to trial e-bikes (electric bikes) around the campus. 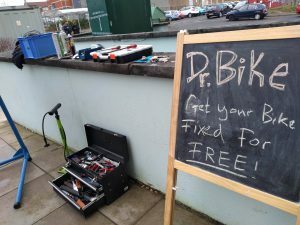 It was amazing to see so many happy faces during the event! 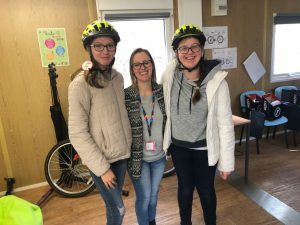 Cycling is definitely fun! 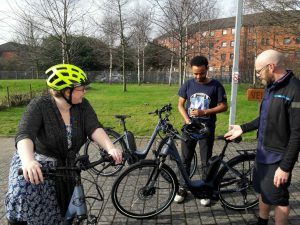 Please take note that the cycle hire schemes should be ready and operating in the next few weeks - Stay tuned for more updates!